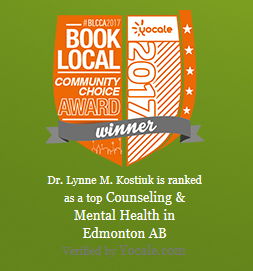 We are so pleased to receive the “Book Local Community Choice Award” from Yocale. Yocale is a website provider that aids people to booking appointments with local businesses. Since 2013, Yocale has been conducting an independent review of the top local businesses in various communities to award businesses that are leaders in their fields and are providing quality customer service to their clients. It is an honour to receive this award. Aspirations Inc. strives to provide a safe place for our clients to explore, examine, expand, and grow themselves. The offer of this award recognizes that we are leading the pack in serving our customers from Edmonton and surrounding areas. It is amazing to receive this award and it would not be possible without all of our amazing team members and all of our clients who have chosen Aspirations Inc. to support their personal growth journeys. See you next session….where you will be supported with the quality care you deserve!